we have worked on through the years. We were approached to assist in providing technical assistance to the church during their facelift project. 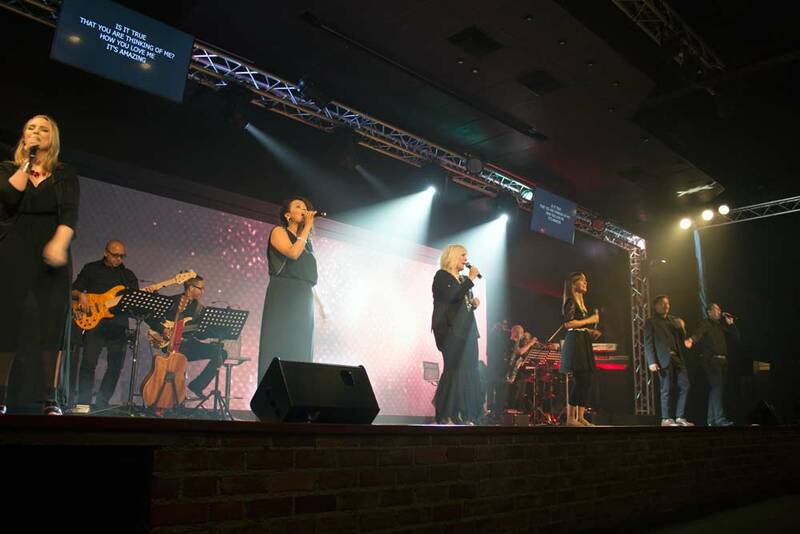 We provided solutions in the form acoustic treatment, a new audio system, a video system and stage and auditorium lighting and control systems. We were approached to assist in providing a digital audio visual feed in the new youth facility. The solution required a wireless digital link that would provide a stable and consistent feed. We were quite proud of the outcome and the system has not given a day’s trouble since its installation. We were asked to assist in redesigning their exiting lighting system. 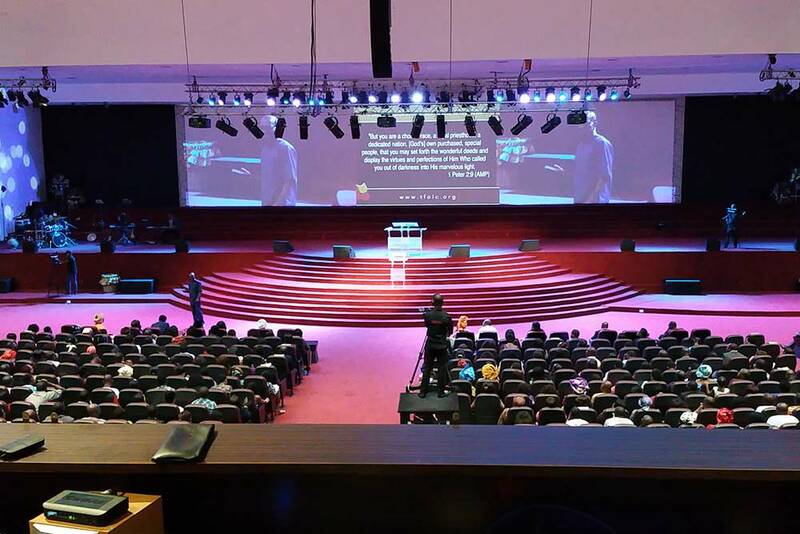 With the addition of a few new fixtures, a suitable control platform and some careful planning, we provided them with a completely new experience in their auditorium. Their facility is now running a full LED based lighting system perfectly suited to provide the required lighting for their productions. 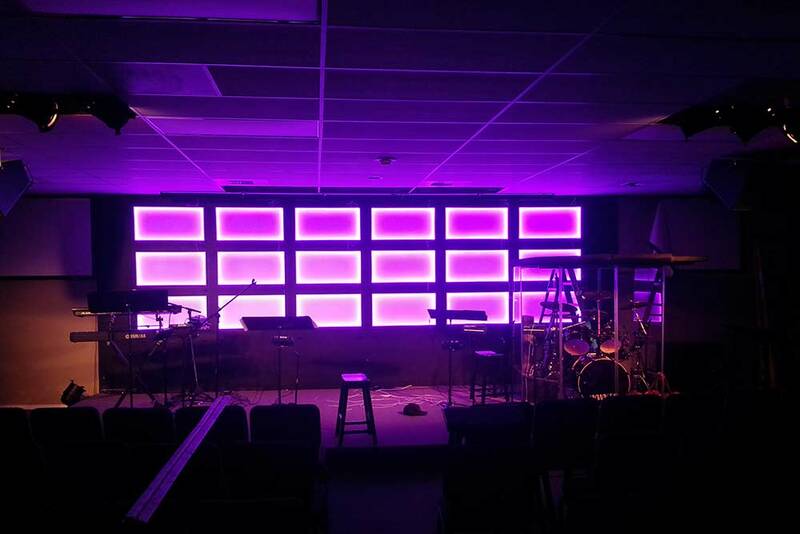 We were approached to assist in redesigning their stage lighting system. With some careful planning and consideration we provided them with a solution that provided maximum outcome at a budget friendly cost. 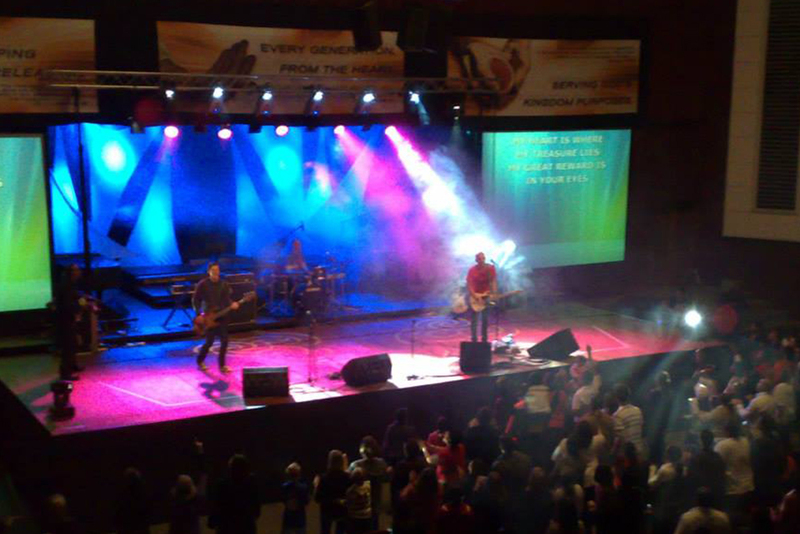 We have assisted the Sun Valley campus with upgrades to the stage lighting, video projection and audio systems. We have worked with Church on the Rock for a number of years now, having provided assistance to them in the fields of audio and lighting. 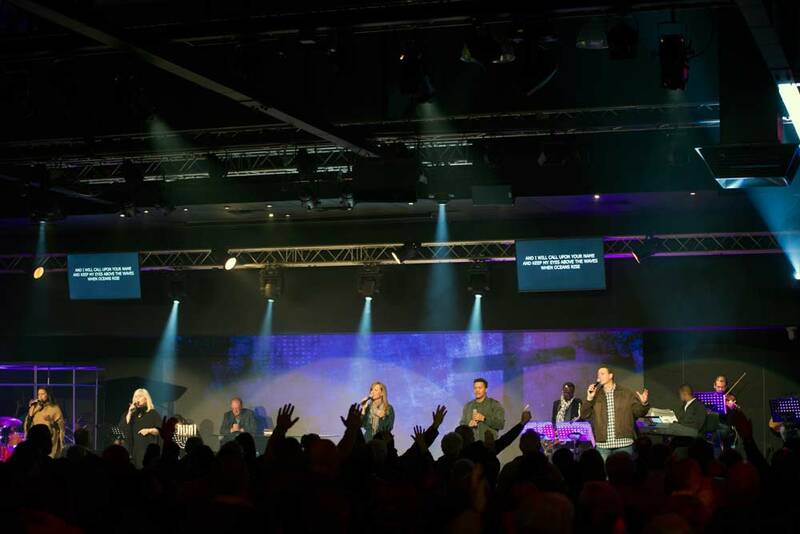 Some of the more recent work at the facility includes the design and installation of a new Front of House Loudspeaker system as well as a digital mixing console. Pastor Paul is a long standing client of Church Production. 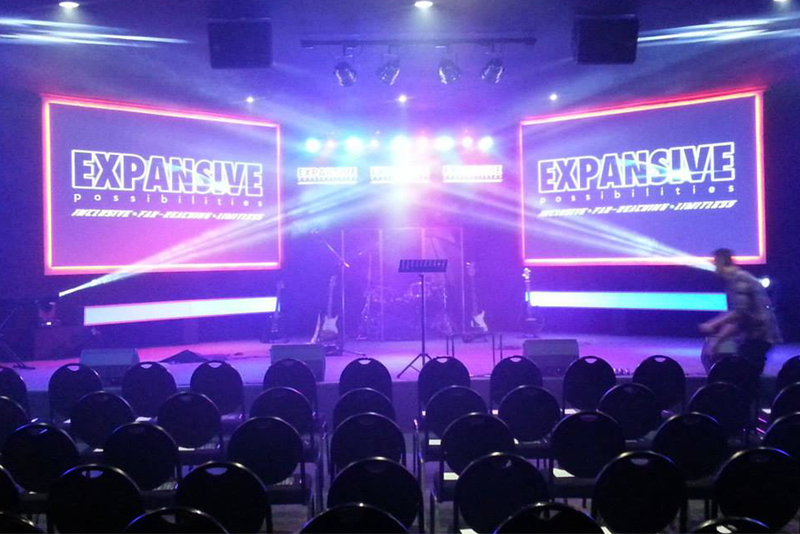 We were approached to assist in providing solutions in video, lighting and audio systems at his new church plant. We designed the system utilizing his existing equipment and provided cost effective solutions to enhance the operational aspects, usability and functionality of the technical production gear. We worked hand in glove with the director of music, Mark Mitchell, in redesigning this prestigious auditorium. 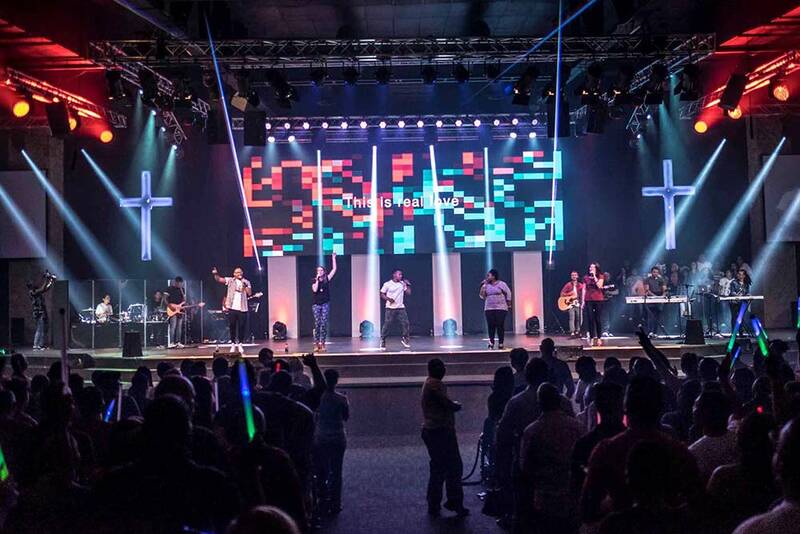 We provided a complete audio, video, auditorium and stage lighting system for the facility. The entire system is app controlled, via iPad, to ensure easy operation for non-technical users. The outcome was a super modernised solution, without taking away from the rich cultural and historical personality of the facility. We have worked with South Point for a number of years, assisting prior to and in the move to their new facility in Mowbray. 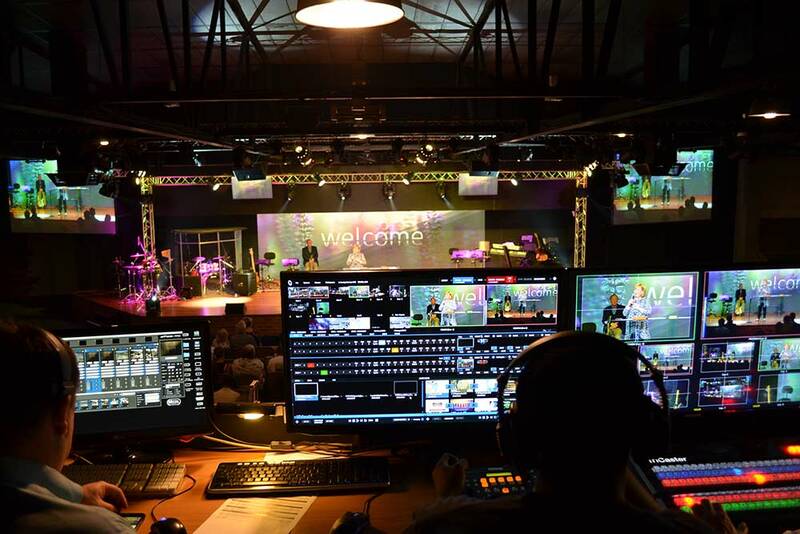 Our latest project was designing a full digital video distribution system that was easy to use and easy to setup for their Sunday services. We also provided a massive 8 meter wide projection screen and the first full laser phosphor high power Christie projector in the country. This church is moving forward quickly and we are grateful to be a part of their growth.